Many Christians feel a sense of inner fragmentation and emptiness in their spiritual journey. We all long for a deep sense of meaning to make sense of our lives, but we often search for it in ways that hinder the very thing that brings meaning—relational connection. 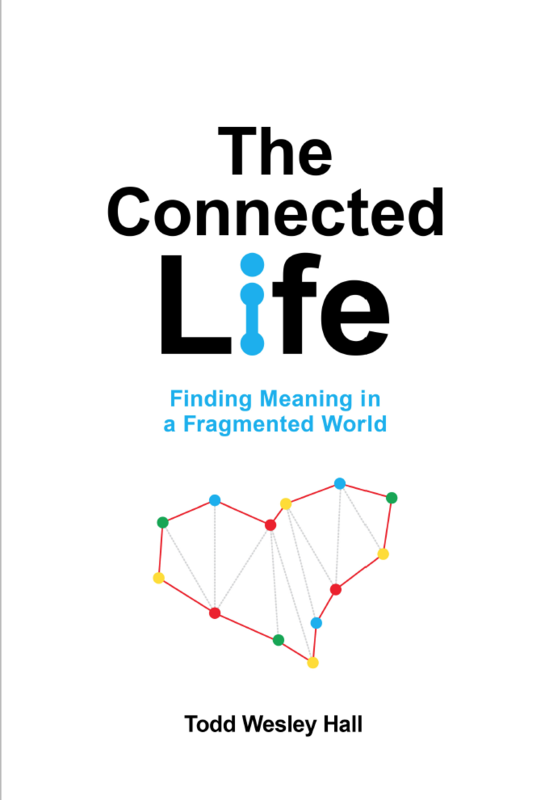 The Connected Life E-book is a brief guide to help you find meaning in your life by connecting more deeply to God and others. 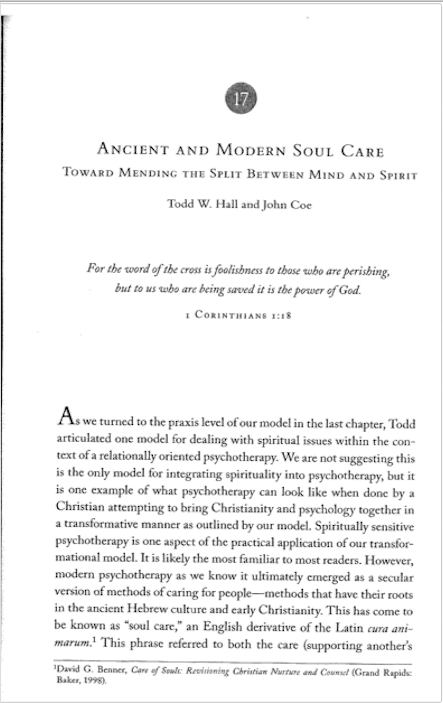 In this chapter from the book Psychology in the Spirit (IVP, 2010), John Coe and I explore the ancient roots of soul care and the various forms modern soul care have taken. We describe the overlap and distinctions between spiritual direction, pastoral counseling and psychotherapy. We suggest that there is a place for each form of soul care, and yet more work needs to be done to integrate what are sometimes artificial distinctions. 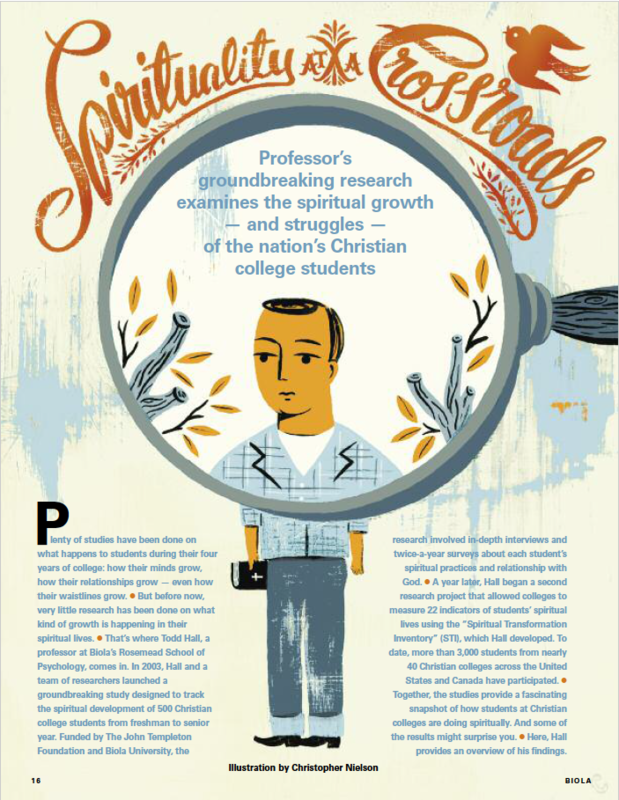 A professor's groundbreaking research examines the spiritual growth - and struggles - of the nation's Christian college students. (This article was published in the Biola Magazine, 2010). ABSTRACT: Significant gains have been achieved in understanding the links between spirituality and mental health in recent years. However, there remains a paucity of theoretically-driven empirical research that explains the associations between spirituality and mental health. This article proposes a broad model of implicit relational representations as a framework for explaining the links between religious/spiritual (RS) involvement, realized Christian spirituality, and mental health. 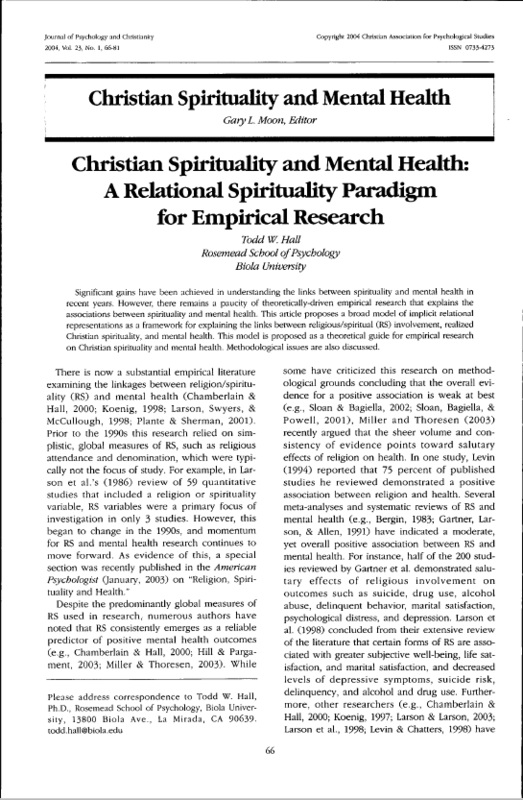 This model is proposed as a theoretical guide for empirical research on Christian spirituality and mental health. Methodological issues are also discussed. ABSTRACT: This article empirically investigates two alternative, competing hypotheses regarding human attachment patterns and attachment patterns with respect to people’s spiritual experiences of relationship with God. The correspondence model posits that attachment patterns with humans correspond to, or are reflected in attachment patterns in individuals’ experiences of God. The compensation model, in contrast proposes that attachment patterns with humans do not correspond to God attachment patterns presumably because God functions as a substitute attachment figure for those with insecure human attachments. We propose a conceptual model arguing that correspondence operates at implicit levels of spiritual experience, and that human attachment patterns are not associated with explicit spiritual functioning. Results overall provided strong support for this model. ABSTRACT: The goal of this article is to illustrate the interaction between trauma, attachment, and spirituality, and to demonstrate how to address this interaction in long-term attachment-based psychoanalysis. 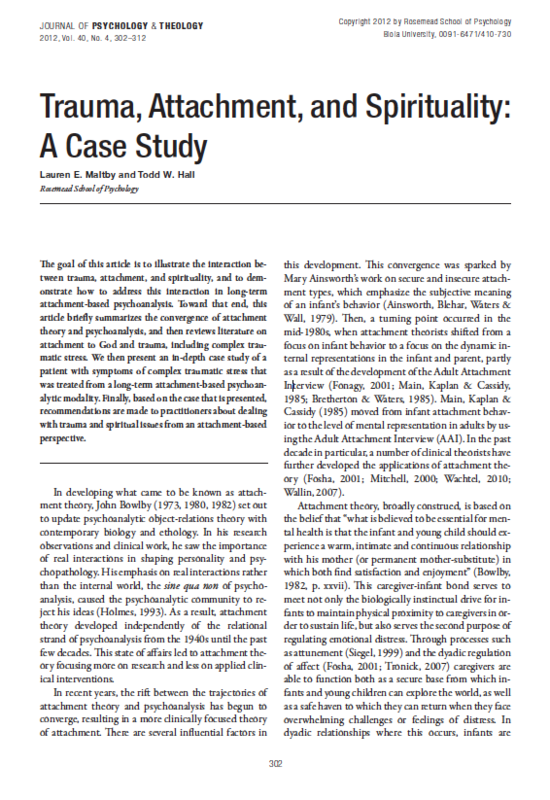 Toward that end, this article briefly summarizes the convergence of attachment theory and psychoanalysis, and then reviews literature on attachment to God and trauma, including complex traumatic stress. We then present an in-depth case study of a patient with symptoms of complex traumatic stress that was treated from a long-term attachment-based psychoanalytic modality. Finally, based on the case that is presented, recommendations are made to practitioners about dealing with trauma and spiritual issues from an attachment-based perspective.